Join our passionate, dedicated volunteer team today – we would love to have you! There are a wide variety of volunteer opportunities with Toronto Cat Rescue! If you are interested in volunteering with TCR in any capacity we would love to hear from you! Most of our volunteer roles are for adults 18 years or older. If you would like more information, please check out our Volunteer Frequently Asked Questions, call the TCR Hotline at 416-538-8592 and leave a message, or email info@torontocatrescue.ca. We look forward to working alongside you! We have the following volunteer opportunities available. If you would like to foster for TCR, please see our Foster Homes page for more information. Goal: To keep our adoption counsellors organized so they can match cats with their new families quickly, which in turn helps TCR save more lives. All TCR cats available for adoption are placed on our website and potential adopters contact us through email or voicemail to arrange a screening interview. Our adoption lines are busy – some months handling more than 500 inquiries. Each adoption administrator is assigned a specific weekly shift 9am -3pm or 3pm – 9pm. During the shift you will monitor all inquiries, forward inquiries to the appropriate Adoption Counsellor and log the inquiries on Smartsheet (a spreadsheet program). The role is very demanding; however it is also one of the most rewarding roles in TCR. The adoption counsellor (AC) role is performed from your home, using your home computer and phone. You will be assigned a group of specific fosters homes for which you will be responsible for screening any adoption applications that come in for cats in those homes. Adoption inquiries are picked up from our voicemail and email lines throughout the day by our adoption administration team and upon receipt will be forwarded to you for handling. You will need to check your email account at least daily, as initial contact with potential adopters is expected to be made within 24hrs. However you will be arranging screening conversations based on your schedule and that of the potential adopter. The Cat Caregiver is responsible for overseeing the well-being and medical care of the cats at the Volunteer Centre. Toronto Cat Rescue Volunteer Centre (VC) serves as an intake processing location where cats coming into our program are assessed medically and behaviorally before being placed in appropriate foster homes. The role of Cat Caretaker is not about playing and snuggling with a happy, healthy cat. Rescue cats often have special medical and behavioural needs and are not quite ready to be your friend. This role involves hard work: a lot of cleaning, food preparation, filling forms, administering medication, scrubbing litter boxes, and keeping track of supplies. You need to be comfortable working and learning in a group environment. To be effective in this role you need to learn procedures, follow protocols and take part in regular training sessions. The well being of the cats must be your top priority and sometimes this involves being willing to go beyond the basic requirements of the role. This role is for those who like being helpful, are cooperative and enjoy working as part of a team. The reward is helping rehabilitate cats so they can go on to find forever homes. 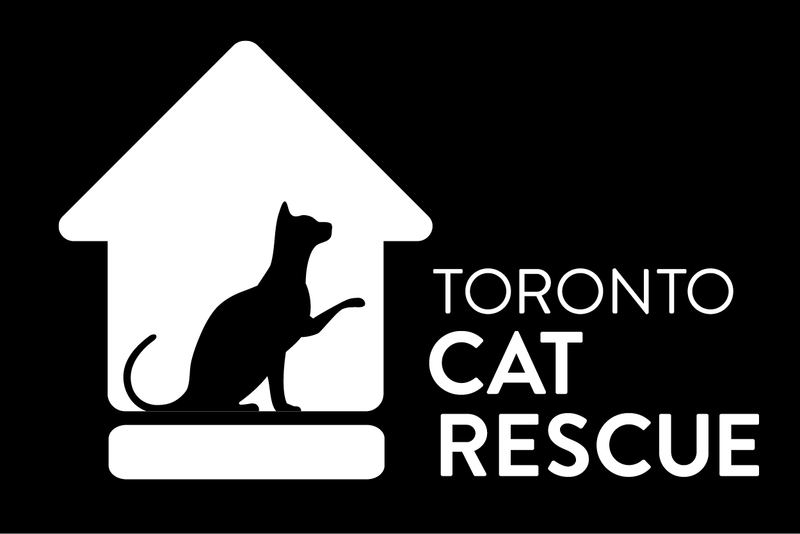 Overview: Toronto Cat Rescue is a volunteer-driven organization. The majority of the cats in our program originate from the 3 Toronto Animal Services shelters. Our cats are located in foster homes, at our Volunteer Center facility, at Veterinary clinics in the GTA, or at our retail adoption centres. The transportation of cats between locations is covered by volunteer drivers, who are a vital part of Toronto Cat Rescue operations. The main role of the Driver Coordinator is to coordinate transportation requests for cats and manage all logistics to ensure pick up and drop offs are complete. Goal: Ensure that the transportation of cats between various TCR locations is promptly arranged and to communicate arrangements made with volunteer drivers and other relevant parties at the pickup and destination locations. More information, and the application for the role, click here. Drivers are essential to our life-saving efforts. We rescue ill, injured, orphaned, petrified and geriatric cats from Toronto shelters daily. Without volunteer drivers, we could not save thousands of lives each year. Drivers are also needed to pick up cats from foster homes and drive them to and from vet appointments, retail adoption locations, other foster homes, etc. We also require drivers periodically for various other reasons including picking up carriers/cat food/other supplies. Unfortunately, we are not able to provide reimbursement for gas, but tax receipts can be provided based on numbers of kilometres driven. Please click here if you are interested in joining our team of kitty chauffeurs. Overview: Toronto Cat Rescue is a volunteer-run organization. The cats in our program are located in foster homes or at our retail adoption partnership locations, such as PetValu, Petsmart and smaller independent shops. We are looking for a reliable and highly organized candidate to take on a leadership role in managing the relationship between TCR and the store. Goal: Maximize the number of cats adopted by facilitating a strong relationship between Toronto Cat Rescue and our partner retail adoption locations. More information, and the application for the role click here. TCR has wonderful affiliated store foster locations for our kitties while they wait for their forever families to adopt them. We are currently seeking volunteers to visit the cats in-store to make sure they have fresh food and water, clean bedding, dishes and litter boxes, as well as spend time cuddling and playing with the cats. There are various locations, including Toronto, GTA and Kitchener, Guelph & Waterloo. Please click here if you are interested in becoming a store volunteer. Toronto Cat Rescue is a largely volunteer-driven organization. Our mission is to rescue and find homes for abandoned, sick or injured cats from situations of abuse, neglect or imminent euthanasia. Being a part of the Intake team means you are on the front lines, actively saving lives each day. Ensure that information is entered promptly and accurately into Smartsheet and Asana documents. Enter all TCR cats and their pertinent information onto a google sheet document. Work with Intake Coordinator to ensure that cat medical records are accurate and maintain up to date information on all active TCR cats. Note: Your application will be reviewed and considered for the open position for which you have applied. Should your qualifications and experience match the requirements of the position, we will contact you for an interview. Only those selected for interviews will be contacted. Being a part of the Intake team means you are on the front lines, actively saving lives each day. This is a challenging role and the candidate needs to be strategic about cat placement in order to maximize the number of cats TCR can take, and making good judgement calls around which cats we are able to rescue. TCR’s rescue mandate is to intake cats from the three Toronto Animal Services locations (East, West, North) and other shelter partners when space is available. We will accept kittens from the public under the Kitten Support Program (KSP). We do not take in stray cats or owner surrenders. The role of the Intake Coordinator is to liaise with out of area (non-TAS) shelters, independent rescuers and TCR’s Kitten Support Program volunteers to coordinate the transfer of cats into the TCR program. Based on limited space, this role often requires saying no to challenging cases. Identify and rescue cats who are in need of TCR’s care and collaborate with Intake Lead to secure space for the transfer. To offer advice and alternative solutions in situations where TCR is unable to intake the cat(s). Being a part of the Intake team means you are on the front lines, actively saving lives each day. This role is as challenging as it is rewarding. To support the Intake Lead with the incoming requests from TAS shelters during the hours of 10am to 3pm Monday to Friday. This may mean assisting in the intake of urgent requests of cats to vet clinics and/or foster homes. Goal: Ensure TCR cats obtain medical treatment in a timely basis; keep records of all treatments; negotiate the most cost-effective treatment with veterinary partners. Toronto Cat Rescue saves nearly 2,700 ill, injured, orphaned and geriatric cats per year. Many of these cats require medical assessment and treatment before they can be placed for adoption. More Information, and to apply, click here. Goal: Successfully match cats with prospective adopters at adoption events. Toronto Cat Rescue has partnered with several Petsmart and Pet Valu stores to showcase adoptable cats. Several times throughout the year, special weekend adoption events are held to increase the number of cats adopted, which in turn, creates foster space to save more lives. More Information, and to apply, click here. Most cats in the Toronto Cat Rescue program are located in foster homes or at our retail adoption partnership locations, such as PetValu Liberty (1176 King St. W.). Overview: TCR receives daily calls and emails from the public. These can vary from media interview requests, requests for information, interest in volunteering, offering donations, etc. We are looking for individuals to join our General Inquiries team to check messages, forward to the appropriate party and respond to when necessary. Each volunteer is assigned a specific day of the week to handle all incoming voicemail and email messages until 9:00 pm on their shift day. Goal: Provide superior customer service by ensuring that all public inquiries are handled within 24hrs.